We have designed public outdoor gyms and sports parks to encourage the four elements of well-being: cardio, core balance, muscular development and flexibility. We provide commercial outdoor fitness equipment for those people who want to escape the doldrums of the gym and experience new ways to stay in shape–outdoors. 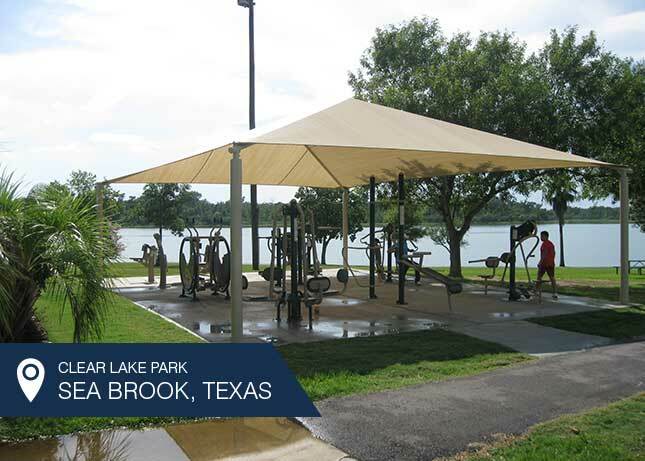 Provided design, equipment and installation of a new, unique public outdoor gym for Harris County Parks Department. The equipment is designed for teens thru seniors, and provides the opportunity for complete physical fitness and body building in an outdoor environment without the cost of membership. Laredo, Texas. 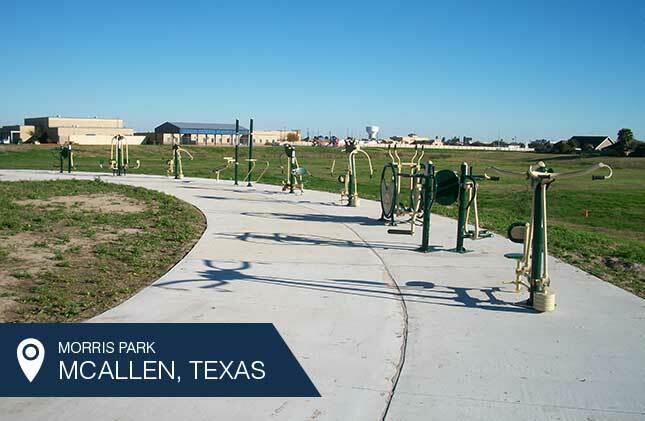 Provided design, equipment and installation of an outdoor fitness gym for the City of Laredo Parks Department. 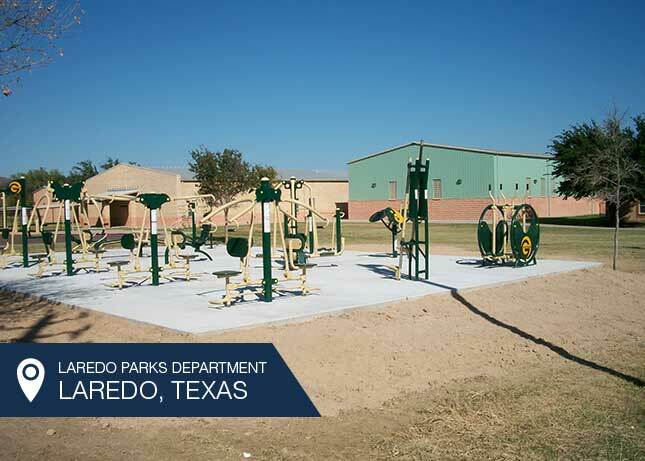 Installed at a Laredo ISD School, the City aimed to provide a total gym fitness system for residents in the community that could also be used by school programs. Provided design assistance and equipment for the City's Parks Department. The City wanted to provide outdoor exercise features along a new jogging and walking trail. By clustering the features into one area, we provided both social and physical fitness opportunities for users. The equipment selected is designed for adults and incorporates inclusive ADA accessible fitness systems.